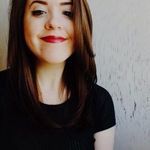 5 Tips to Prepare for Rain on Your Wedding Day | Wedding Ideas ARE YOU A VENDOR? If you flip to the weather channel in the weeks leading up to your big day and see - shock horror - a little rain cloud floating above your wedding date, don’t freak out. 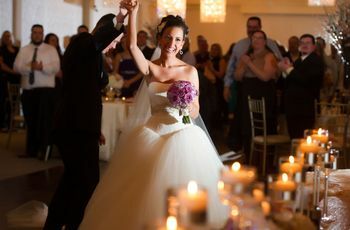 Planning ahead for rain on your wedding day will ensure that everything will run smoothly, even if it is a little damp. Follow these rules and it should all be smooth sailing. Here are a few tips to prepare for rain on your wedding day. Start drafting the blueprint for your Plan B with your wedding planner ASAP. You never know what twists and turns the weather may take on your wedding day, so prepare for everything possible (it’ll make any speed bumps less stressful). If your wedding is an outdoor affair, make sure to rent a few tents. If your guests are going to need an umbrella-wielding usher to help them get from their cars to your wedding venue, make it happen. You may have a few accessories planned for your wedding outfit already - like maybe a bedazzled belt or a flower crown? - but that doesn’t mean you can’t add more. 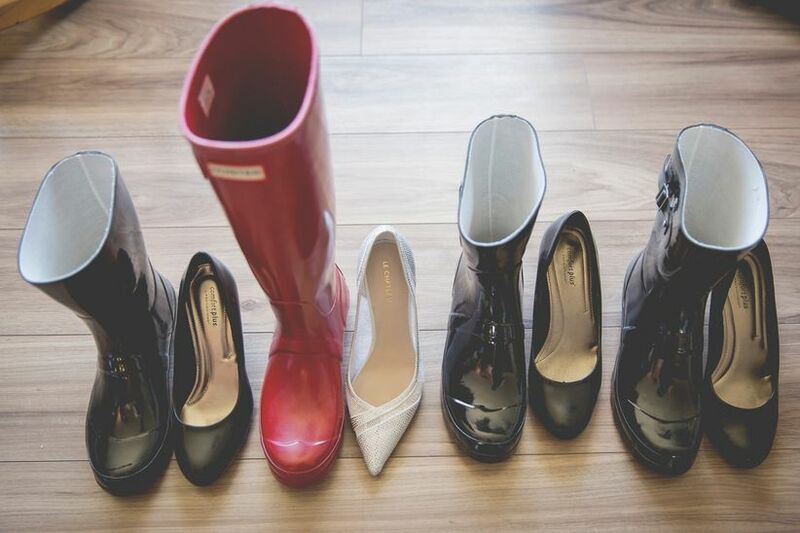 If you know that there will be rain on your wedding day, purchase a cute pair of rainboots (and some for your wedding party) as well as umbrellas that match your colour scheme. These will make for great group photo shoot props! While most of your guests will come wielding umbrellas if the forecast calls for rain on your wedding day, those that have travelled in from out of town may not have the same access to supplies. Stock your venue with umbrellas so that your guests can take breaks outdoors if they need to. You may want to go the extra mile and add some cozy beverages like hot chocolates and hot toddies to your menu, as well (yum!). If the weather is bad on your wedding day there may be a few road closures, so prepare your guests for any detours they may have to make. No, this doesn’t mean you have to purchase more stationery, just send out an email and update your wedding website accordingly. Your guests will thank you for not having to use Siri to navigate the streets. 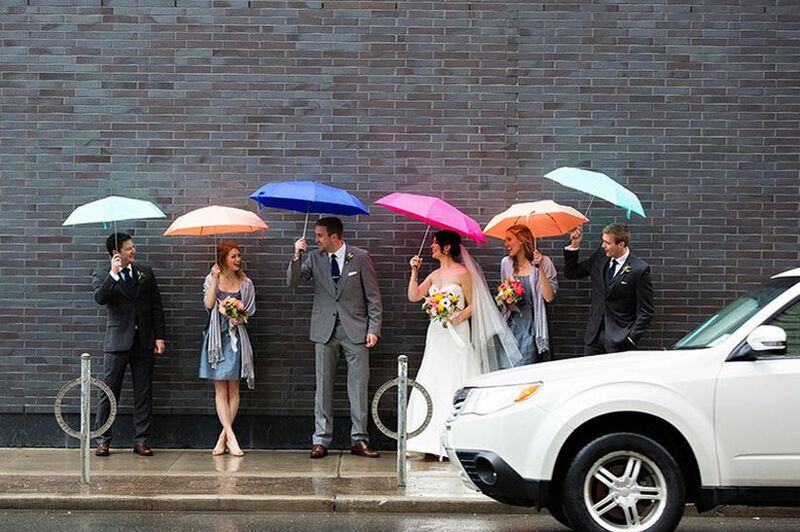 I know it sounds crazy, but rain on your wedding day can actually be awesome. 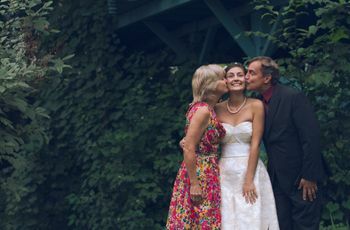 You can craft amazing photo ops, have a super cozy reception and maybe infuse your celebration with a bit of good luck. So, instead of letting it get you down, let it make your big day even better.